FUJIFILM is taking a leap into fourth generation technology with the announcement of its latest digital camera out to catch the eye of serious videographers. The global photographic company, renowned for its unique colour reproduction technology to deliver outstanding image quality, is releasing a complete upgrade with the new FUJIFILM X-T3 with an all-new back-illuminated 26MP X-Trans™ CMOS 4 sensor and X-Processor 4 image processing engine. The new mirrorless camera comes as a welcome evolution in the X Series range for professional photographers and videographers. It boasts faster image processing, increased pixels and X Series’ highest level of image quality with a lower level of noise. “We’re taking mirrorless camera technology up a notch,” says Craig Robertson, professional photographer and FUJIFILM’s NZ X Series specialist. “The X-T3’s new advanced engine speeds up image processing by almost three times and significantly improves tracking performance. This makes it a weapon for shooting fast-moving subjects,” he says. The engine is also the world’s first*1 to deliver 4K/60P 10bit output, meeting the needs of professional videographers. “It’s a dream come true for serious videographers who want superior footage from a small, compact system that won’t weigh them down. It weighs less than 450 grams,” says Craig. The X-T3 inherits X-T2’s popular retro design features, making for an investment in form and function. Not only does the “Colour chrome effect” produce deeper colours and gradation in subjects with highly saturated colours, such as flowers with shadows, but the new “Sports finder” mode makes it even easier to capture fast moving subjects or wildlife shots thanks to blackout-free continuous shooting. “With the “Monochrome” mode, warm black and cool black have been reproduced digitally. Smooth halftones, deep blacks and beautiful textures can now be created in-camera without the need for specific photographic papers,” says Craig. The low-light autofocus limit has been extended meaning candlelight or moonlight shots can take centre stage, and the camera’s new “Pre-shoot” function starts shooting as soon as the shutter button is half-pressed so crucial photographs are never missed. 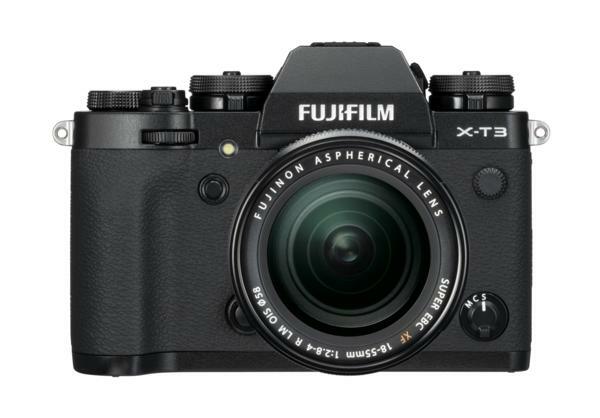 The FUJIFILM X-T3 has an indicative price of $2899.99 (body only) and can be purchased in black or silver from authorised FUJIFILM dealers nationwide from September 20, 2018.